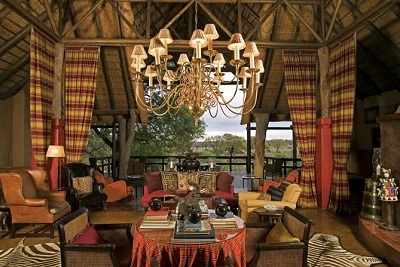 Singita is known as one of the World's finest and most exclusive luxury safari camps. Singita Ebony is situated in The Sabi Sands Game reserve, Kruger and is well-known to be the best area to spot the Big 5, especially the elusive Leopard. 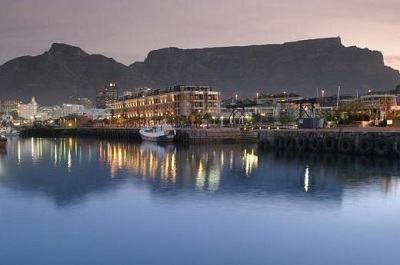 A stay at the Cape Grace situated at the Cape Town V&A Waterfront will be a memory to savour. The Cape Grace has the warm personal feel of a country hotel, combined with superb 5 star services and is definitely one of the premier hotels in Africa! Enjoy the Singita video. On arrival in Johannesburg, you are met by our representative and you connect with your flight to Kruger Airport. At kruger Airport you are met and transferred to your game lodge in the Sabi Sands Private game Reserve adjacent to the famous Kruger National Park. Singita continues to maintain its worldwide repute as one of the World's finest and most exclusive safari camps. Singita Ebony is set in the dappled shade of an Ebony forest on the banks of the Sand River with beautiful views down to the river. The lodge combines vibrant tribal colour with a warm colonial ambience. Accommodation is in beautifully-appointed suites with separate lounge and bedroom, large windowed bathrooms, free standing baths, and an open air shower. The large, raised private patio has a plunge pool. The lodge has a small well-appointed gymnasium and a personal heath consultant is on hand for massages and facials. *** Depending on the season a special deal for an extra day complimentary stay may be valid where if you stay 4 nights you only pay for 3. You enjoy the daily activities at your lodge. Arathusa offers a relaxing intimate safari experience with guests enjoying a true African Safari in the heart of Big Five country. 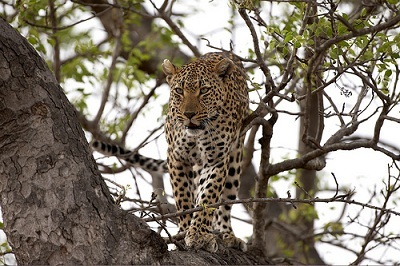 Today you enjoy your game drives with your guide and tracker as well as the glorious food and service of your lodge. After your final morning game drive and a sumptuous breakfast, you have a road transfer from your game lodge to Kruger Airport, from where you will fly to Cape Town. On arrival at Cape Town airport, you will be collected and transferred your hotel situated in the Victoria & Alfred Waterfront. You have the rest of the day at leisure to explore the Waterfront and do some shopping or dine at one the many fine restaurants. The Cape Grace has something of the atmosphere of a 'country house' hotel, yet it's situated on a private quay overlooking the yacht marina in Cape Town's Victoria & Alfred Waterfront. One-Waterfront restaurant is a vibrant combination of friendly, seamless service, relaxed atmosphere and culinary flair, reflecting a modern South African influence. Bascule Whisky Bar and Wine Cellar on the water's edge provides the ideal setting in which to sample the largest collection of whiskies in the Southern Hemisphere. Other facilities include a well-stocked library, an enticing African-influenced Spa, brand new gym and a heated outdoor pool. Special services are offered to all guests such as personalized picnic baskets for an afternoon on the beach and romantic special touches for honeymoon couples. Well-appointed and elegant, the 120 spacious rooms and suites have French doors inviting the mountain and maritime views in; as well as sitting area, walk-in dressing room, air-conditioning, TV, telephone, Internet access and minibar. The impeccable, yet friendly, service and refined taste throughout the hotel make the Cape Grace the discerning choice. After Breakfast at 09H00 you are collected by your private guide for your full day private tour of the majestic Cape Winelands. You will visit wine estate and learn more about the fascinating winemaking process. This tour allows you the opportunity to sample and buy Cape wine and experience the rich historical and architectural traditions of the region. After Breakfast at 09H00 you are collected by your private guided Cape Peninsula tour. This includes a scenic coastal drive along Chapman’s Peak; the Cape of Good Hope Nature Reserve and Cape Point; viewing the Penguins at Boulders Bay; Simon's Town historical naval base and ends with the magnificent Kirstenbosch Botanical Gardens. After Breakfast at 09H00 you are collected by your private half day tour of Table Mountain and Cape Town. The tour begins with an ascent of Table Mountain by cable car for a panoramic view of the whole of the Cape Peninsula. (The cable car tickets are for your own account as the ascent is weather dependent.) Afterwards you travel into the city where visit various attractions like the Castle of Good Hope, the Cape Town flower market and the historic center of Cape Town with its many 18th century buildings, before being dropped off at the Cape Town Airport in time for your departing flight..